According to the latest Energy in the Residential Sector report by Sustainable Energy Authority of Ireland (SEAI), the average household uses seven per cent more energy than the EU average. Moreover, Ireland’s household Co2 emissions are the highest in the EU, the report finds, up to 58 per cent higher than the EU average. This is due to high usage of carbon fuels such as oil, coal and peat, the report states. The rise of residential energy use follows significant reductions between 2005 and 2014. SEAI says that this is largely due to the fall in oil prices together with higher disposable income for Irish households. The report shows that there are 1.7 million households in Ireland in 2016, a 40 per cent increase since 2000. 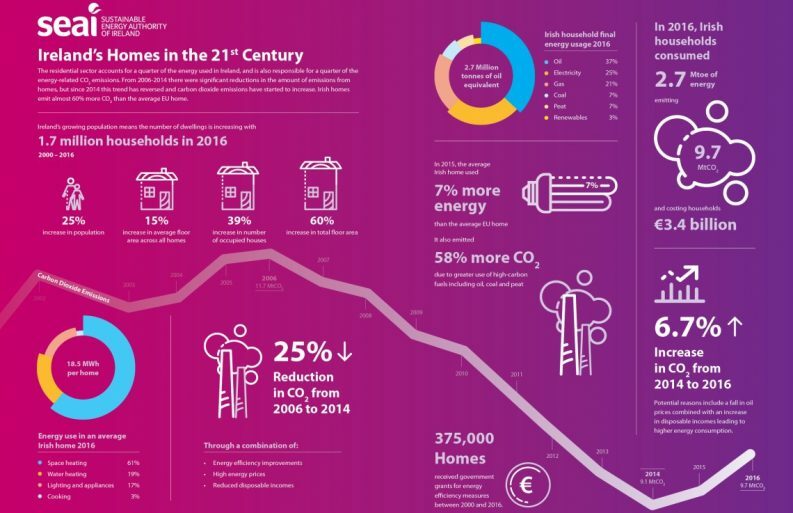 The homes accounted for one-quarter of Ireland’s total energy use, costing Irish householders €3.4 billion, and resulting in 9.7 million tonnes of CO2 emissions. The energy use in an average Irish home consisted of space heating (61%), water heating (19 per cent), Lighting and appliances (17 per cent) and cooking (3 per cent). “Improved building regulations mean that almost all new dwellings are built to an A-rating on the Building Energy Rating (BER) scale. “However, recent trends suggest that we must do an awful lot more to further improve the energy performance of our entire housing stock,” he warned. 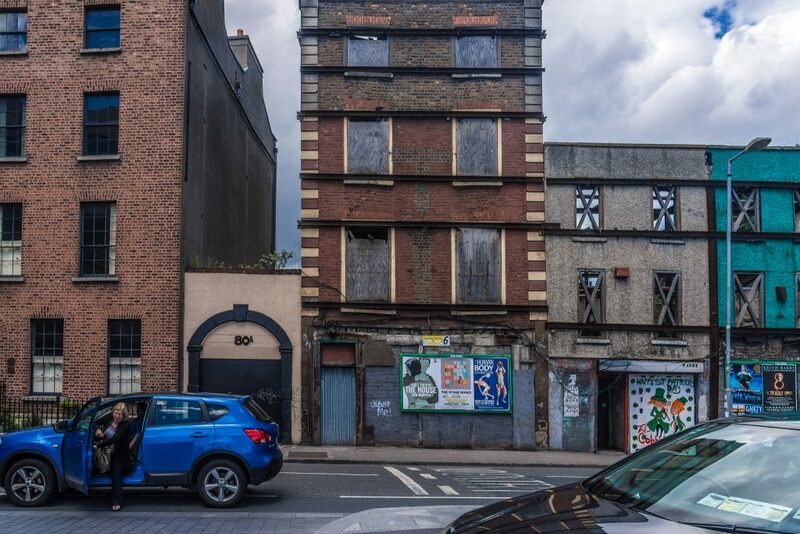 Following the release of the report, the Green Party called for massive retrofit programmes to be set up for Irish homes. Green Party leader Eamon Ryan TD said: “We need to scale up our ambition by introducing a massive deep retrofit programme to improve the energy efficiency of our existing housing stock. “We should aim at the same time to switch to a renewable heating system in every house so we get warmer, healthier homes and save on our €3.5 billion annual fossil fuel import bill. “At a stroke of a pen we could further change the building regulations so that no new fossil fuel heating systems are put into any new building,” he added.